Get Your AHA BLS card the day of your class. No waiting. We NEVER cancel classes!!! 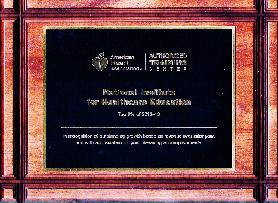 December, 2013: NIHE was named as being in the TOP 1% of AHA Training Centers!! ALL of our BLS courses will result in you receiving an American Heart Association BLS Provider card upon successful completion of all course requirements. Below you will find a description of each type of BLS class we offer and who is eligible to take each course. Once you know which course you wish to sign up for, click on the link at the top or bottom of this page for the city that is closest to your location. This will take you to a registration page where you may find a convenient course date and register and pay for the type of BLS class that you need. BLS -Basic Life Support for Healthcare Providers. This is the American Heart Association CPR course designed for all those who work in a healthcare setting. This course includes adult, child, and infant data. Successful completion of this course requires passing a written exam with 84% or better and skills testing. We offer this course in several formats, all approved by the American Heart Association and upon successful completion of any of these courses the student will receive an AHA BLS Provider card. Basic Life Support - As the American Heart Association wants all students to get the full benefit of the new 2015 AHA guidelines American Heart Association has suspended the teaching of all Basic Life Support Renewal courses until Nov.1, 2017. Until that time all students must take the Basic Life Support course. This American Heart Association course is open to all new, expired, and current BLS card holders. This course is taught in the classroom and requires successful demonstration of BLS skills and passing of the written test with 84% or better. All students MUST have an AHA BLS Provider manual at the class. Upon successful completion of all course requirements the student will receive an American Heart Association BLS card. Basic Life Support Add on-This American Heart Association course is open to all new, expired, and current BLS card holders taking either ACLS, PALS, or NRP on the same date and at the same location. This course is taught separately from the ACLS, PALS, & NRP. This course is taught in the classroom and requires successful demonstration of BLS skills and passing of the written test with 84% or better. All students must have an AHA textbook. Upon successful completion of all course requirements the student will receive an AHA BLS card. BLS Online with Skill Check-This American Heart Association online BLS course has two parts. The online portion and the skill check. Upon successful completion of all course requirements the student will receive an AHA BLS card. This is only available for PCs, not Apple computers. Skill checks begin at 12:30 p.m. at all of our locations except for our regular Wednesday Colton, CA BLS class at which time they begin at 3 p.m.
What Card & CE certification will I get? If you have completed the ONLINE AHA BLS course you may attend any one of these courses to complete your skill check off. Please call 800-773-8895 to schedule your skill check off.